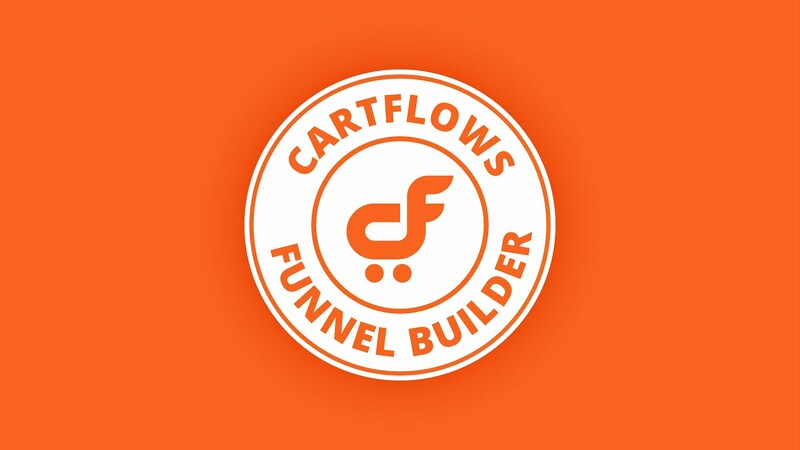 CartFlows shall make available to Affiliate certain banner advertisements, button links, text links, and/or other graphic or textual material for display and use on the Affiliate website (the “Promotional Materials”). Affiliate shall display the Promotional Materials on Affiliate’s website prominently and as Affiliate sees fit, provided that the manner of display shall be subject to the terms and conditions of this Agreement. Affiliate shall also include a link from the Promotional Materials to my.cartflows.sharkz.in, herein referred to as CartFlows’s website, as specified by CartFlows. a. Affiliate may not use any graphic, textual or other materials to promote CartFlows’s website, products or services other than the Promotional Materials unless CartFlows agrees to such other materials in writing prior to their display. b. Affiliate may only use the Promotional Materials for the purpose of promoting CartFlows’s website (and the products and services available thereon), and for linking to my.cartflows.sharkz.in. c. Affiliate will not alter, add to, subtract from, or otherwise modify the Promotional Materials as they are prepared by CartFlows. If Affiliate wishes to alter or otherwise modify the Promotional Materials, Affiliate must obtain prior written consent from CartFlows for such alteration of modification. d.The Promotional Materials will be used to link only to my.cartflows.sharkz.in, to the specific page and address as specified by CartFlows. CartFlows hereby grants to Affiliate a non-exclusive, nontransferable license (the “License”) to use the Promotional Materials as specified under the terms and conditions of this Agreement. The term of the License shall expire upon the expiration or termination of this Agreement. CartFlows retains all right, ownership, and interest in the Promotional Materials, and in any copyright, trademark, or other intellectual property in the Promotional Materials. Nothing in this Agreement shall be construed to grant Affiliate any rights, ownership or interest in the Promotional Materials, or in the underlying intellectual property, other than the rights to use the Promotional Materials granted under the License, as set forth in Section 3. This Agreement shall not be construed to create any employment relationship, agency relationship, or partnership between CartFlows and Affiliate. Affiliate shall provide services for CartFlows as an independent contractor. Affiliate shall have no authority to bind CartFlows into any agreement, nor shall Affiliate be considered to be an agent of CartFlows in any respect. a. In exchange for Affiliate’s display of the Promotional Materials, and for Affiliate’s compliance with and performance of the terms and conditions of this Agreement, CartFlows shall pay to Affiliate a commission (the “Commission”) in the amount of fixed price or a percentage of product sold to a user through a link on Affiliate’s website. The commission for each product is mentioned on their individual websites/pages. This percentage is subject to change by CartFlows at any time. Notification to Affiliate of any change in commission percentage will be given by CartFlows at the email address on hand for the Affiliate. Commission will be based on purchases made by the Affiliate referred customer for any new purchases. Commission payments do not apply to purchases made directly by Affiliate. Transactions that result in refunds or chargebacks will not be paid out. b. CartFlows shall keep accurate and up-to-date records of the data used to determine the total amount of Commissions owed to Affiliate. Affiliate shall be given reasonable access to these records upon request, and is available through the affiliate area on the member page. Any discrepancy between the amount of Commissions owed according to these records, and the actual amount of Commissions paid to Affiliate in any period or periods shall be rectified by CartFlows within 14 days of discovering such discrepancy. e. In the event that Affiliate materially breaches this Agreement and CartFlows terminates this Agreement within 30 days of such breach, then any accrued and payable Commissions owing to Affiliate shall be forfeited, and CartFlows shall not be obligated to pay such Commissions to Affiliate. vi. Solicitous offers, cash incentives on purchase through affiliate link. vii. Affiliate’s should NOT list coupon codes or discounts that are NOT exclusively provided to them. viii. In case the affiliate needs an exclusive coupon, he/she should contact us, so that we can provide a unique coupon code. These exclusively created coupon codes can only be shared through promotional emails or webinars or social media posts. ix. An affiliate should NOT promote any other coupon codes found elsewhere online. Doing so can result in the termination of the respective affiliate account and withholding of all the affiliate payments for violating the stated affiliate agreement. f. Affiliate will not publish or otherwise distribute any advertising materials for Affiliate’s website that reference CartFlows or my.cartflows.sharkz.in unless CartFlows gives prior written consent to the distribution of such materials. Affiliate will not use CartFlows’s name (or any name that is confusingly similar to CartFlows’s name / it’s products / services) for any purpose on its website, in its promotional materials, or in any other context except to promote my.cartflows.sharkz.in as specified in this Agreement. Affiliate will not register any domain name that incorporates CartFlows’s name, or that is confusingly similar to CartFlows’s name. g. Affiliate will not engage in the distribution of any unsolicited bulk emails (spam) in any way mentioning or referencing CartFlows / it’s products / services or my.cartflows.sharkz.in. Affiliate shall indemnify CartFlows and hold harmless CartFlows from any claim, damage, lawsuit, action, complaint, or other costs arising out of any breach of Affiliate’s warranties set forth in Section 7 above. Affiliate shall also indemnify and hold harmless CartFlows for any damage, loss or other cost arising out of the use or misuse by Affiliate of the Promotional Materials. Any information that Affiliate is exposed to by virtue of its relationship with CartFlows under this Agreement, which information is not available to the general public, shall be considered to be “Confidential CartFlows Information.” Affiliate may not disclose any Confidential CartFlows Information to any person or entity, except where compelled by law, unless Affiliate obtains prior written consent for such disclosure from CartFlows. CartFlows shall not be responsible for any taxes owed by Affiliate arising out of Affiliate’s relationship with CartFlows as set forth in this Agreement. CartFlows shall not withhold any taxes from the Commissions paid to Affiliate. CartFlows shall not be liable for any loss of profits or costs, or for any direct, indirect, special, incidental or consequential damages, including costs associated with the procurement of substitute goods or services (whether CartFlows was or should have been aware or advised of the possibility of such damage), arising out of or associated with any loss, suspension or interruption of service, termination of this Agreement, use or misuse of the Promotional Materials, or other performance of services under this Agreement. This Agreement constitutes the entire agreement between CartFlows and Affiliate and supersedes any prior understanding or representation of any kind preceding the date of this Agreement. There are no other promises, conditions, understandings or other agreements, whether oral or written, relating to the subject matter of this Agreement.